To whom does the country belong? The hoarders of wealth, or the brave of soul? The Messianic era is characterized by massive social, political and economic changes, across the world and no less so in Israel. Last night, 150,000 Israelis across the country marched in the streets, protesting the high costs of living and raising a family in Israel, and demanding affordable housing, free education from age 0, lower prices on staple goods, and a new set of priorities for Israeli society--those emphasizing social and economic justice, and moving away from a socially-blind, free-market policy that has characterized the recent administrations. The affordable housing movement, which has now morphed into a multi-cause social justice movement, began two weeks ago when Daphni Leef, 25, became so frustrated while searching for an affordable apartment in the Tel Aviv area where she studied and worked, that she decided to pitch a tent on the street and invited her friends to do so as well. One week later, tent cities sprouted up across Israel, populated by students and struggling, low-income individuals and families. In a recent poll, 87% of the Israeli public voiced support of the tent protests. Last night, tens of thousands of Israelis voiced their support and filled the streets in the largest protest in decades, if not in Israel's history. And this is only the beginning. Contrary to certain portrayals, the people in the tents and in the streets are not radical leftists. They are students, low-income and middle-class families. Yes, until now, many have been secular. But I don't think that this will remain a secular protest, and I don't think it should. Last week, a woman holding a newborn sat and listened to a communal discussion led by students in the Jerusalem encampment near Ben-Yehudah Street. As it turned out, this woman was a mother to 8 children, whose husband stopped working several years ago as a result of an accident. The ten of them live in a home no larger than 50 square meters in the periphery and still barely make it. When they heard about the tent protest, they heard a cry close to home, and together with their eight children they came and set up camp in the Jerusalem park. They have now been here five nights, and have no intention of leaving, until they hear solutions. This family, and many others, are not anarchists. They represent a large number of Israelis who are overburdened by years of unregulated free markets. The time has come to ask a difficult question: Do religious Jews view capitalism as an ideal? 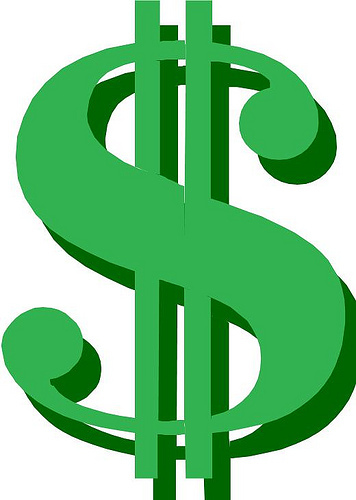 Is the Torah a capitalist system? Have we become complacent, having lived well in America, England, South Africa, Australia, and other parts of the developed world? Have we compartmentalized tzedakah to the personal realm, standing by while the government and Israel's ten richest families hoard wealth, homes, cars and luxuries, while Israeli children are hungry? Where is the word "unregulated markets" in the Tanach? In the book of Jeremiah? For years we have swallowed the fact that capitalism is "the best system we've got". Well I've got news, my fellow yidden, we have something much better, and it's explained at length throughout the Written and Oral Torahs. And economically speaking, it looks a lot more like the vision of the tenters on Rothschild than like the current rules of the game. Until now the religious community in Israel operates vis-a-vis the political-economic sphere as if we are still in exile. In many ways we are: our government is not focusing its resources on the construction of the Temple and the settling and bolstering of the land in its entirety. The Sabbath is a cultural relic and the holidays and commercialized. The values of the country have faded from idealism, Zionism and Jewish peoplehood to multi-culturalism and economic and social liberalism. In this context, we assume that a free-market society that leaves behind the weak and needy is something we take for granted, and at best, we can give a hefty donation on Pesach and give our last few agurot to the beggars in the shuk. We learn, we daven, we invite Shabbos guests, and we tell Bibi to build, and we talk about the third Temple, and yearn to see it rebuilt. Yet how can we merit a Temple, when we are party to a system in which a family of ten chooses to camp out in public park, because the situation has become too heavy to bear? Our Temple was destroyed because of an indifference to the person next door, because the image of our own merit clouded the heart's most basic sensitivity to the material and psychological plight of our fellow Jew. The State of Israel should excel first and foremost in its care for the weak, in its social welfare, in its assurance of basic needs to its citizens. We don't need to imitate social welfare systems across Europe; we have our own values deep within our own national conscience, even if they are temporarily muted. A commentator in today's press wrote that the movement beginning across Israel cuts through the traditional left/right divide with which Israeli society has become obsessed. I sincerely hope it succeeds in overcoming yet another divide within this society, that between religious and secular. There are severe housing and economic problems in the religious and haredi sectors in Israel, and there are is no reason why these sectors should not stand side-by-side with other Jews demanding a more socially and economically just society. A new generation of Israelis are hungry for a vision which can provide more than Zionism, more than capitalism. The protestors are chanting for bread and water, but can we as the religious community be bold enough to hear the thirst for a new incarnation of Israel from amidst the protests, and can we answer the call, armed with the authentic values and wisdom of Torah, and the derech eretz of Avraham Avinu? If not, we not only risk losing the momentum of this movement, but also our own moral integrity. Tests from Hashem -- especially in the time of Mashiach -- are more often than not pop quizzes, in the guise of another headline to ignore, on the way to shul. And you shall return by your God: keep loving-kindness and justice, and hope to your God always. A trafficker who has deceitful scales in his hand; he loves to oppress. And Ephraim said: Surely I have become rich; I have found power for myself; all my toils shall not suffice for my iniquity which is sin. New Zealand media is reporting that the Israelis killed in the Christchurch Earthquake in February were Mossad agents. The Israeli ambassador in New Zealand, Shemi Tzur, has completely dismissed the nearly baseless claims. Reports claiming that Ofer Mizrahi and his friends were in the country to download sensitive information from New Zealand intelligence servers are based on the mere fact that they fled shortly after the earthquake and thzt Mizrahi had several passports on him when found dead. In 2004, a New Zealnad court ruled that two Israelis who tried to issue fake New Zealand passports were Mossad Agents. The prime minister of New Zealand declared sanctions on Israel following the affair. In the year 5682 (1922), on the Seventeenth of Tammuz, I felt a terrible weakness. The evil urge overcame me in the morning and said, "Behold, you are very weak! You need to eat!" And I had not drinken or eaten from midnight until that morning. But I ate, cautiously, as though eating damaging substances, but without hands and without feet [i.e., without any enthusiasm]. After eating I recited the Grace after Meals and walked to the Mikveh. You can imagine how my prayers went and how I felt after such a thing. For when I was with Rabbi Yisroel Karduner, he had been careful about every fast in the Shulchan Aruch, especially the Seventeeth of Tammuz, the most serious of the four major fast days. Already as a child, from the age of six, I had been accustomed to fasting every Monday and Thursday; yet now, today, I stumbled and ate before praying. I didn't want to live, and I fell into such dejection that I couldn't speak or be seen with people. I walked to the Yeshiva and lay down in the synagogue in the Yeshiva, like a dead man. I didn't speak and didn't eat for the next six days. Whoever entered the synagogue, including the Yeshiva students, and saw Reb Yisroel Ber lying in such dejection, was afraid. For they were used to my always being happy and dancing and were amazed at how Yisroel Ber could be happy. "Why is he happy? He has no livelihood or bread for his children." They said that this Yisroel Ber was not the Yisroel Ber they knew. "This Reb Yisroel Ber had gone out of his mind, and such is the fate of all the Breslovers, that in the end they go out of their minds. For they walk at midnight to the fields and forests, and sometimes they are frightened by a dog or wild animal or a gentile, and therefore in the end they go crazy". I felt terribly dejected, and what they were saying now caused me even greater dejection. For I felt that I was the cause of everything they were saying. In any event, I felt great pain and distress and didn't want to live. I saw that my great sadness was causing a desecration of G*d's Name and a disgrace to Breslov Chassidus. Then I did hisbodedus and prayed to the Blessed G*d: "Master of the Universe. Look at my situation. It's true that I ate and did what I did. But I want to return to You. Heal me and remove me from this situation, this sadness, for I am causing a desecration of Your Name and blemishing Breslov Chassidus". Then I cried before the Blessed G*d and said in the synagogue: "Master of the Universe. Heal me so that I can escape from this sadness. "A powerful thought came to me, as though someone had entered my head and my mind. The thought said to me: "Go into your room!" (I was in the synagogue and my room was next to the synagogue.) "Go into your room, and open the bookcase, and put your hand on any book, and remove it and open it, and there you will find a cure for your soul." I wanted a cure, and I had prayed. So I said in my heart, "This thought of mine, is it a serious thing?" Then I said, "I'll try and see what happens. "So I did this: I went from the synagogue into my room, and opened the bookcase, as the thought had said to me, and put my hand on a certain book, and removed it and opened it. And there was this letter. At first I saw just a piece of paper and I didn't know what it was doing in the book. Possibly it was a bookmark to indicate where I was learning. I didn't pay attention to this piece of paper. In any event, afterwards I noticed that there were lines of writing on it. I started to read and I saw what was written: "My precious student…I benefited greatly from your service." This sadness, this broken heart that I had because of my sin of not fasting on the Seventeenth of Tammuz-"I benefited greatly from your service." "And the sign," at the end of the whole letter: "On the Seventeenth of Tammuz they will say that you are not fasting." "On the Seventeenth of Tammuz they will say." This implied that the letter was written before the Seventeenth of Tammuz. It was telling me a sign: "On the Seventeenth of Tammuz they will say that you are not fasting." In any event I read this, and just as before I had been so sad, now I received so much joy from this letter, joy not of this world, that the sadness had no value compared to the joy. Amidst such joy I started to dance in my room in the Yeshiva. The Yeshiva students said: "The crazy man is happy now. He's dancing!" They all came into my room and watched me dancing. But I paid no attention to them. I danced and rejoiced until they gave in and took me outside. They stood in a circle with me in the middle. I danced for many hours that night, until they became tired. They stood for a long time and said: "He won't tire out. He will tire us out. We have no more strength." They left and I danced alone the whole night. Anyway it is impossible to describe and to relate adequately what had happened to me: such sadness, such healing, such joy that I experienced. A major fire broke out Sunday in Ya'ar Yerushalayim, the Jerusalem Forest, near Mount Herzl. As of 7:15 p.m. Israel time, firefighters have achieved partial control over the fire in the area of the Pi Glilot fuel depot, and are continuing efforts to extinguish flames in surrounding areas. Police have instructed residents of Har Nof and nearby neighborhoods to remain indoors until further notice. According to National Fire Chief Shachar Ayalon, the Jerusalem forest fire broke out in four different places, indicating arson. Around 4:30 p.m., visitors and workers were evacuated from the Yad Vashem Holocaust Museum, adjacent to the forest. According to the director-General of Yad Vashem, the fire reached 40 meters of the museum and maintenance teams managed to stop the flames from consuming the site's most precious treasures at the very last minute. Around 6 p.m. an emergency medical worker told Walla! News that the street he is on in Har Nof has been evacuated, including the synagogue, its Torah scrolls and nearby schools. Just before 6 p.m. Knesset Member Reuven Rivlin and his wife were evacuated from their home in Yefe Nof, due the presence of reserves of flammable materials in the neighborhood's vicinity. IDF chief Ganz ordered the Israeli Air Force to join efforts to extinguish the fire. Around 6 p.m. 22 firetrucks and six firefighting planes were being used to extinguish the fire between Har Herzl and Motza. An official told Channel 2 News that Israel has experienced greater fires in the past months, but the location of the fire--near a fuel depot, Yad VaShem, and residential neighborhoods--made this fire highly problematic. Israel's last major fire occurred on the eve of Chanukah 5771. This Tuesday is the 17th of Tammuz, the day on which the walls of Jerusalem were breached by the Romans, which marked the beginning of a period of three weeks of calamities culminating in the destruction of the Temple by fire on Tisha b'Av. On 16 Tammuz, the Golden Calf emerged from the fire into which the gold of the people was thrown. On 15 Tammuz (today), Chur, the son of Miriam was killed in an attempt to dissuade the people from constructing the golden calf. Check back for updates. Please pray for Yerushalayim. A mob attack on the U.S. embassy in Damascus pushed Secretary of State Hillary Clinton to say Syrian President Bashar al-Assad has lost legitimacy, a pronouncement the Obama administration had been reluctant to make in four months of anti-regime protests. “From our perspective, he has lost legitimacy. He has failed to deliver on the promises he’s made. He has sought and accepted aid from the Iranians” on how to suppress his own people, Clinton said today in Washington in a joint news conference with European Union foreign policy chief, Catherine Ashton. “President Assad is not indispensable and we have absolutely nothing invested in him remaining in power,” Clinton said. The U.S. Treasury Department has said that if Congress does not raise the national debt ceiling by August 2nd, borrowed funds would not be available to pay debts, and the U.S. economy would be forced to default, a situation without precedent in its history. At present Republicans are unwilling to raise the debt limit unless Obama can promise significant spending cuts. Meanwhile, Obama is keen on keeping the government strong (and expensive) in order to haul the country out of the economic crisis. The new IMF chief Christine Lagarde said Sunday that there will be "real nasty consequences" for the global economy if the U.S. defaults on its debt obligations. "If you draw out the entire scenario of default, yes, of course, you have all of that -- interest hikes, stock markets taking a huge hit and real nasty consequences, not just for the United States, but for the entire global economy, because the U.S. is such a big player and matters so much for other countries." US debt rose to $4.36 trillion under President Bush as a result of the wars in Iraq and Afghanistan as well as tax cuts. Under Obama an additional $3.9 trillion was added to the national debt as a result of his economic stimulus plan and decreased tax revenue during the recession. Meanwhile, Treasury Secretary Timothy Geithner said on Sunday that many Americans will face hard times for a long time to come. "It's going to feel very hard, harder than anything they've experienced in their lifetime now, for a long time to come." 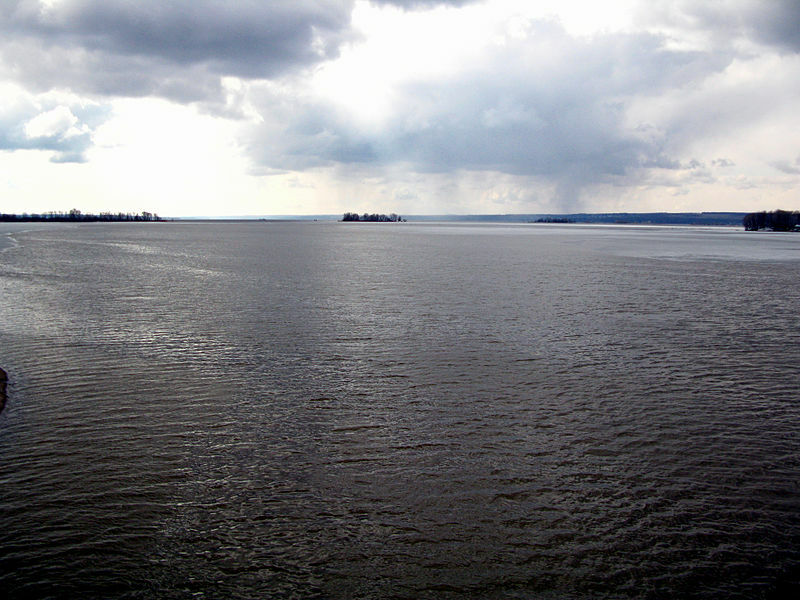 On Sunday a boat carrying 182 people sank in the Volga River near the city of Tatarstan. News agencies are reporting one dead and at least a hundred people missing. 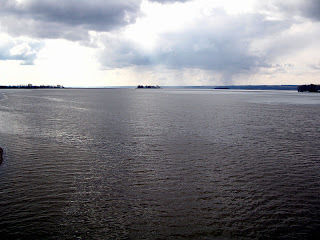 In the auspicious week of Yud Bes - Yud Gimmel Tammuz, the holiday of the liberation of the Freideker Rebbe (1880-1950) from Russian prison, we learn that the Volga River has not forgotten. 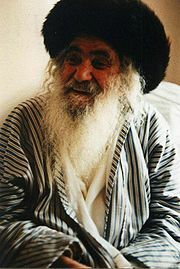 Upon being released from Soviet prison, the Friedeker Rebbe made sure to emphasize the significance his release for all of am yisrael for generations to come: "It was not myself alone that the Holy One, blessed be He, redeemed on Yud-Beis Tammuz, but also all who love the Holy Torah and observe its commands, and so too all who bear the name ‘Jew’." The Rebbe's imprisonment as well was a direct result of his mesiras nefesh (self-sacrifice) for the Jews of Russia and the Torah. Despite persistent surveillance by the Russian secret police, the Rebbe continued to strengthen Torah observance through establishing clandestine Torah schools for children, mikvahs, and yeshivas. During the Russo-Japanese War of 1904-05, the Friediker Rebbe made great efforts to provide kosher food and supplies for Jewish conscripts of the Russian army in the Russian far East year-round and during Passover. In the 19th century the Russian army essentially began abducting Jewish boys from the age of 12, placing them in six-year military schools, and requiring them to serve for 25 years after their studies. Between 1827 and 1856 between 30,000 and 70,000 Jewish boys served as compulsory conscripts, comprising 20% of conscripts in Riga and Vitebsk and as much as half of conscripts in Kazan and Kiev. During the Crimean War (1952-1856) these the Jewish percentage of recruits tripled. The first draft of 1827 called for 1,800 Jewish conscripts, half of whom were children. Whereas other populations were called to provide conscripts between 18 and 35, Jews were required to provide conscripts between 12 and 25. All conscripts were institutionally malnourished, and kosher food far from available. By Russian policy conscripts were encouraged to convert to Orthodox Christinaity, and Jews boys were forced into baptism. Estimates are that one third of Jewish forced conscripts, or cantonists, underwent conversion between 1827 and 1844. In Cantonists: Jewish Children as Soldiers in Tsar Nichloas' Army, by Adina Ofek (Modern Judaism: 13:3, Oct. 1993, p. 286), the author retells an account of a group of around 1,000 Jewish children recruited to be conscripts in the Russian army, who were ordered to be baptized in the Volga River in the city of Kazan during a visit by Tsar Nicholas in the summer of 1836. All the children, some as young as nine, were marched into the river together. 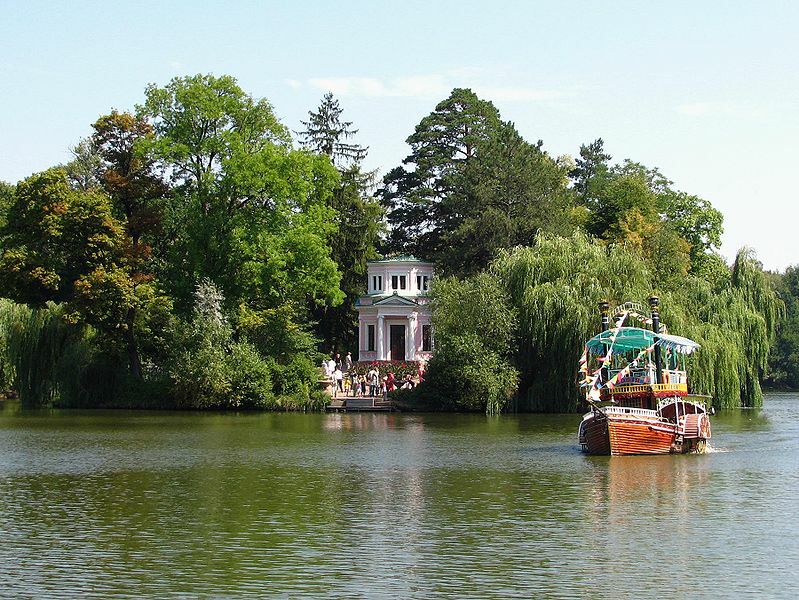 Yet to the Tsar's astonishment, the children held on to each other, waded deeper into the river and drowned themselves in an unfathomable act of kiddush Hashem. Hashem does not forget his people. Imagine the pure and holy mesiras nefesh of one Jewish boy who walked into the river by his own will in order to glorify God's name for eternity, the preciousness of that soul is not forgotten, the memory has not faded, every tribulation that every Jew throughout history faced is recorded and calculated, every detail precious and ever relevant to the Almighty, whose merit shines upon all future generations. May Hashem's love for his people overflow upon His middot and His people and may He usher in the geulah in the merit of the tefilos of these holy souls. Today is the memorial day for the Uman Massacre of June 17th, 1768 (6 Tammuz 5528). The Hasidic movement, with all its joy and liveliness, was born on the background of a dark chapter in Eastern European Jewish history. In 1768, the Haidameks, a movement of ruthless, anti-Semitic Ukranian rebels, revolted against Polish authorities in the Ukraine. In their rampage, the Jews were perceived as an urban class protected by the Polish forces, and were therefore their first victims. The Haidameks carried out a series of pogroms throughout the Ukraine, and in 1768 set their sights on Uman, a well-fortified city guarded by Polish troops. On their way, Ivan Gonta and Maxim Zalzinak led the Haidameks in raids of several Jewish towns across Podolia, causing many Jewish refugees to flee to Uman, which they believed to be a refuge from the Ukranian rebels, as it was guarded by their enemy, the Poles. Yet on June 14th, the Haidameks reached Uman and after one unsuccessful attempt, laid seige on the city on the 17th on June. After three days, during which many Ukranians serving in the Polish forces joined the ranks of the Haidameks, the city fell to the bloodthirsty rebels. The Jews of Uman, led by Leib Shargorodski and Moses Menaker, attempted to fight back, one group barricading themselves in one of the city's synagogues. Yet after the ensuing battle, nearly all of Uman's 33,000 Jews hy"d were murdered by the Haidameks. After the Uman Massacre, Catherine the Great of Russia feared the rebellion would spread to her territory, and dispatched a commander to infiltrate the Haidameks' ranks. Ivan Gonta was seied and handed over the Poles, who sentenced him to a nailing on the gallows, which was gruesomely exhibited across Podolia. 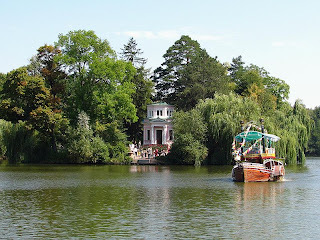 Nonetheless, Gonta is memorialized as a folk hero in Ukranian songs and legends. Almost four years after the Uman Massacre, Rebbe Nachman was born in Medzhibizh in the Ukraine, on Rosh Chodesh Nissan of 5532. Once, on his way from Eastern Ukraine to Breslov, Rebbe Nachman passed by the mas grave of Uman's Jews. He called for his wagon driver to stop, paused and took in a deep breath. "Here is the scent of Heaven. This is a good place to lay in rest." Rebbe Nachman chose to be buried in Uman because of the Jews who gave their lives for their emunah, their pure and complete faith in Hashem. Until this day, tens of thousands of Jews from all backgrounds and all countries continue to make pilgrimage to this holy site on Rosh Hashana and throughout the year and draw emunah from the 30,000 holy yidden and from the Great Tzaddik. May the souls of all the martyrs be bound in eternal life with Hashem, and may all yidden draw ever greater levels of Emunah from all those who died for kiddush Hashem and from the Great Tzaddik, the everlasting stream of wisdom, Rebbe Nachman of Uman. Part of the roof at a football stadium under renovation in the Netherlands has collapsed. There are people trapped under the rubble and at least five are reported injured. Update: One person was killed by the collapse and 14 were injured. The Twente Stadium is scheduled to hold a European Cup match in late July or Early August. Israeli police are preparing for the possibility that hundreds of pro-Palestinian activists will arrive on flights to Israel from across Europe later today, after Greece refused to let the Gaza-bound flotilla depart from its port. Police currently have information that a flight from Germany with 150 pro-Palestinian activists is scheduled to arrive this evening, followed by 130 activists on flights in the afternoon tomorrow. 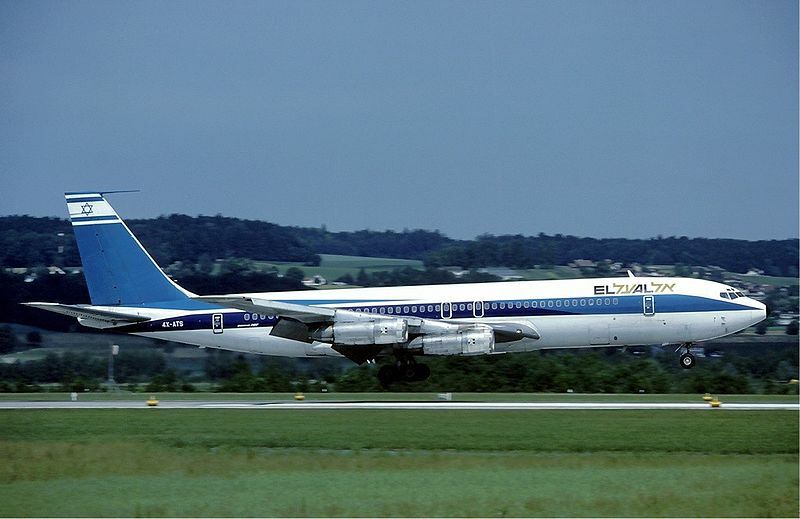 Foreign airlines have been asked to present their lists of passengers to Israel before takeoff, and suspicious persons will be detained at Ben Gurion and be put back on planes to their own country. 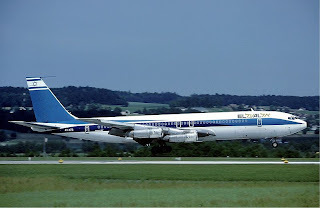 If several activists are clustered on one plane, police will ask the plane to land on an outer runway and will proceed to question all passengers. Many police monitoring airport order will be undercover, so as not to allow activists to lure police into using force, as in last year's Marmara incident. We are receiving European, South American and sometimes Japanese activists all the time - sometimes via the Allenby Bridge and sometimes from the airport - to work on a variety of projects for the community. Some take an active part in the struggle against the fence and against the settlements. This is something people want to make a big deal about because of the number of people coming. In recent weeks, Israel's borders have been threatened, first by ground, when Syrian activists attempted to break a border fence in the North of Israel, then by sea, with new plans to sail ships into Israel's regional waters, and now by air, attempting to manipulate Israel's openness to the world and take commercial flights into the country to cause disorder. What other country feels threatened by groups of international activists--from supposedly friendly countries, who do not require visas--arriving at its airports, deceiving its personnel and infiltrating its society? If these were peaceful activists, Israel would have no problem letting them in, as it has let in thousands of activists from around the world for years. Yet make no mistake; the current infiltration of activists is Marmara 2, where peaceful activists use their guise of non-violence to approach as close as possible to the shore, only to lash out, knowing no boundary to their misdirected rage. When a plane of 150 foreign activists aimed at your destruction arrive at the border of your country, however civilized and friendly their home country might be, no sovereign nation should have any second thoughts: the free entry and exit of persons in and out of a country is for the sake of travel, study, business, and pleasure--opening up the Holy Land for all who crave to experience its uniqueness, not for those whose gaze is fixed on its destruction by any legal or illegal means necessary. May the borders of Israel be strengthened from within. 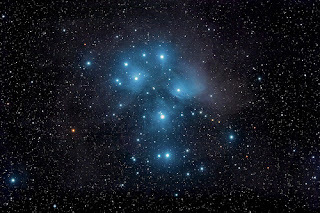 This post is a follow-up to Comet Elenin and Rebbe Nachman. And now, I am going to my people. Come, I will advise you...what this people will do to your people at the end of days. In other words, according to Rebbe Nachman, the shooting of the star of Jacob is related to the power of prayer. Prayers of the various tribes awaken the stars to shoot forth and awaken the flora and fauna of earth to prosper. Life is traced to the stars, and the stars to prayer. Back to the parsha: According to verse 17, the star of Jacob and staff of Israel will crush the nations of Moab and Seth. The Maharal elaborates that the keshet (bow) and chetz (arrow) symbolize the gevurah to needed for these struggles. Unkolus explains 'crush' as inheritance of the nations' kingdoms. Edom shall be possessed, and Seir shall become the possession of his enemies, and Israel shall triumph. When he saw Amalek, he took up his parable and said, "Amalek was the first of the nations, and his fate shall be everlasting destruction." Ships will come from the Kittites and afflict Assyria and afflict those on the other side, but he too will perish forever. Alas! Who can survive these things from God? How lucky we are to have the Torah to guide us through these times. According to 2012 doomsdayers, the end of the world which will also mark the beginning a new era may be highlighted by a collision between a large planetary object and the planet Earth, dubbed the Nibiru collision. As I have said before, the arrival of the Messianic era may be a phenomenon that other cultures have alluded to as well, insofar as awareness of the universe which Hashem put into place inevitably holds clues to its ultimate purpose. In this way, staying abreast of global shifts taking place in natural, economic and political orders, as well as cosmological orders, can both keep our eyes open for Mashiach, and help to bring the concept of Mashiach into the world in a revealed way. I behold it, but not in the near future. The King Mashiach will rise forth and return the Kingdom of David to its former state. The Torah testifies [in several places] concerning him [the King Mashiach] [amongst them,] in the portion of Bila'am whose prophecies concern two messianic figures: the first Mashiach is King David who saved Israel from its oppressors; the final Mashiach will rise forth from his [King David's] descendants and save Israel in the end of days. Bila'am prophesizes: 'I see it, but not now'-- this refers to King David; 'I behold it, but not in the near future'-- this refers to the King Mashiach; 'A star shall go forth from Jacob'-- this refers to King David; 'and a staff shall arise in Israel'-- this refers to the King Mashiach. We have yet to see whether Elenin will exhibit a 40-day luminosity, or astrologically speaking, whether it will be visible during that time span from Earth. According to calculations, Elenin will come closest to earth in mid-October, when it will be slightly closer to Earth than the planet Venus. According to the Minor Planet Center, Elenin is a relative bright comet, and it is uncertain just how bright it will become. What does the relative relationship between a comet, the sun and Earth mean for us? The best lessons may be learned in hindsight. 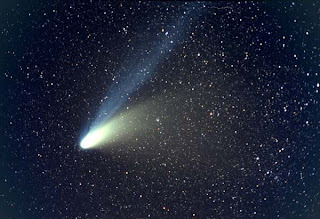 On March 14, 2011, the comet came into opposition with the sun, and will do so again on November 22 of this year. March 14th, mind you, was several days after the massive tsunami hit Japan, wreaking massive environmental and human disaster, and setting off an international nuclear crisis that is unsolved to this day. That's an opposition; a near-alignment between the sun, Elenin and Earth will occur on September 26th. Yet perhaps the most interesting date is that on which the comet will be closest to earth, October 16, 2011. And if there had to be one tzaddik who could ensure the effect of such a movement would be beneficial rather than destructive, who better than Rebbe Nachman, the everlasting stream of wisdom, whose 201st Yartzheit is Tishrei 18 5772, which falls on October 16th in 2011, as it did on the day he left this world in 1810. Na Nach Nachma Nachman Meuman / Elenin ? San Francisco's top lawyer has declared that the proposed ban on circumcision as a religious ritual in the city is unconstitutional. In light of a lawsuit which may result in a ban on circumcision for religious reasons, but not medical circumstance, Chief Deputy Attorney Therese Stewart said: "San Franciscans cannot be asked to vote on whether to prohibit religious minorities from engaging in a particular religious practice, when the same practice may be performed under nonreligious auspices." Also, I wanted to add that the San Francisco/East Bay Jewish community was blessed by a holy, humble tzaddik who was also a mohel, Rabbi Chanan Feld. Rabbi Feld performed hundreds (if not thousands) of brises around the state for many years, and was a unique phenomenon like none other. He was at once steeped in Torah and mitzvot and a student of revealed and hidden Torah, and also a presence that inspired appreciation and respect for Judaism among the extremely diverse and largely assimilated Jewish community of Northern California. Shortly before his eldest bore his first son, Rabbi Feld fought a rough battle with cancer, and at the end of 2009, a gem was lost to both his family and the entire Jewish community. I can't help but think that the fight against circumcision is related in some way to the loss of this tzaddik, a figure whose sweetness and love of Hashem poured into his interactions with all Jews, and demonstrated the true spirit of milah, so far from how it is being portrayed in the recent campaign. May the soul of Chanan Velvel Simcha ben Eliyahu be bound up in eternal life with Hashem, and may he pray along with us in shamayim, that in the wake of their troubles that all yidden from the area consider making aliyah, and that all enemies of the Jewish people vanish! The Acropolis of Athens. Beis HaMikdash, anyone? In keeping with international law, Greece has banned all ships from the Gaza-bound flotilla from leaving its ports. In response, twenty-one Spanish activists from the Gernica ship took over the Spanish embassy in Athens on Tuesday. 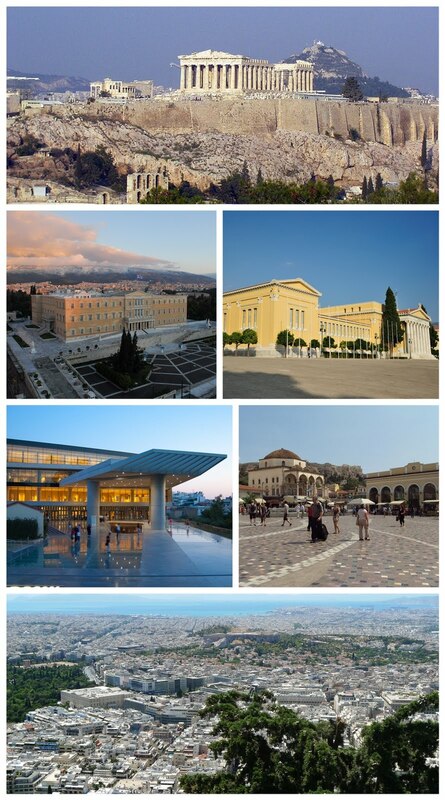 An article covering the incident mentions that the Spanish embassy is located across from the Acropolis, an archeological site holding ancient temples built for the various Greek gods. Greece may be warming up to Israel (who knows why), but there's a long cheshbon between the Jewish people and Greek civilization, most of which takes place in the realm of ideas. Whereas Jewish thinkers such as the Rambam elevated many elements of Greek philosophy, the effect of the clash between philosophy and the true, simple faith of a Jew is a force with which our people have wrestled for centuries, and which lasts until today. With the help of Gimmel Tammuz, the Jewish people will be freed from all foreign influences, and will elevate the philosophies of all peoples to their true source - Hashem, the One, all-powerful God who is One with His creation. The fact that the Rebbe instituted the daily study of the Rambam demonstrates Chabad's unique ability to unite mind and heart in the service of Hashem. Beis HaMikdash, in contrast with the Acropolis of Athens (lehavdil elef havdalot), will be a House for all People and a dwelling-place for the One true God of Israel on earth, from which blessing will flow to the Jewish people and through them to the entire world. May it be built speedily in our days. A freilichen Gimmel Tammuz to all! Gimmel Tammuz: Long live the Rebbe! Rabbi Menachem Mendel Schneerson, the Lubavitcher Rebbe, was born on 11 Nissan 5662 (April 18, 1902) in Nikolaiev, which was part of the Russian Empire and present-day Ukraine. The Rebbe (as he is most commonly known) is the 7th Grand Rebbe (Admor) of the Chabad dynasty and served as head of the Lubavitch dynasty from 1951 until 1994, during which he opened the doors of Chassidus to tens of thousands of Jews around the world and prepared the world for Moshiach. The Rebbe's father, Levi Yitzchak, was a descendant of the Tzemach Tzedek, the third Rebbe of Chabad. The Rebbe's father was his primary teacher. In 1927 the Rebbe moved to Berlin. On 14 Kislev 5689 (1928) the Rebbe married Chaya Mushka Schneerson, the daughter of the sixth Lubavitcher Rebbe, in Warsaw, Poland. After the wedding the Rebbe lived in Berlin and studied philosophy and mathematics at the University of Berlin. In 1933 the Rebbe moved to Paris, where he completed a degree in electrical engineering. After his degree he continued to study mathematics at the Sorbonne. Recently, the Rebbe's Torah discourses during his time in Berlin and Paris have been discovered and published. In 1941, the Rebbe fled Nazi-occupied France to Portugal, and with his wife boarded the Serpa Pinto ship which departed from Lisbon and arrived in New York City on June 12, 1941 (exactly 53 years to the Gregorian date of his passing), which was also the 28th of Sivan 5701 (the 70th anniversary of which was last Tuesday, the yartzheit of the Holy Tanna Yonasan ben Uziel). Upon the Rebbe's arrival in the U.S., his father-in-law appointed him to oversee the main Chabad institutions, and in the year 5703 he was appointed as head of the Chabad publishing house. Also in this year, the Rebe published his first book, Hayom Yom, a compilation of teachings of the sixth Chabad Rebbe, arranged by the day of the Jewish calendar, studied to this day on a daily basis by all those connected to the Rebbe. In the year 5710 (1950), the sixth Lubavitcher Rebbe left this world, and on the 10th of Shvat 5711 (the 70th anniversary of which was also this year, 5771), which was also the 1st yartzheit of his father-in-law, the Rebbe gave his most famous Chasidic discourse, Basi LeGani, which was a commentary on his father-in-law's last discourse. The Rebbe later related that 10 Shvat 5771 was the date on which his leadership of Chabad began in a revealed manner. During the years of the Rebbe's leadership, a wide range of institutions were established to spread the teachings of Chassidus and Jewish practice and heritage across the world. In the first five years of his leadership, the Rebbe established a chain of Chabad schools in North Africa, Chabad Youth movements in Israel, New York and Canada, Chabad women's organizations in Israel, Australia and the U.S., and the Chabad summer camp movement, which exists today in 40 different countries. In 5727, after the six-day war and the Liberation of Jerusalem and the Old City, the Rebbe oversaw the renovation and re-opening of the Tzemach Tzedek synagogue in the Jewish Quarter (where a special celebration will take place tomorrow evening). 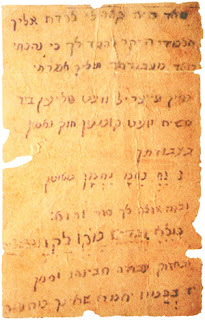 In the 1980's the Rebbe started the Tzvaos Hashem youth movement, and called for parents to purchase a letter for $1 in a new Sefer Torah for all Jewish children under the age of 13 (a project which he initiated for adults as well) whose purpose was to unite all Jewish children through the Torah. Aside from three trips to Chabad camps in the Catskills in the 1950's, the Rebbe never left New York City during his years as leader of the Chabad movement. Hundreds of thousands of people around the world had the zechus of meeting with the Rebbe, or writing to him, and receiving his blessing. Between 1986 and 1992 the Rebbe distributed one-dollar bills to be given to tzedaka to his thousands of weekly visitors. Every Sunday, a long line of people waited up to six hours to collect shliach mitzva from the Rebbe, ask a question and ask for a blessing. On every Jewish and Chasidic holiday, the Rebbe conducted a hisvadus celebration in at his center, 770 (named after its address, 770 Eastern Parkway in Brooklyn, New York). Jews of all backgrounds flocked to these gatherings. During them the Rebbe sat in the middle of the Beis Midrash on a bimmah and delivered words of Torah related to the weekly Parsha or the particular holiday. Between the various discourses, which lasted late into the naight, the attendants would sing niggunim and drink lechayim according to the Rebbe's glances. To our great fortune, almost every word the Rebbe spoke was recorded by satellite, phone or fax and disseminated to Chasidim worldwide. The discourses given on Shabbat and other holidays, during which the use of technology is restricted, were recorded by a group of attendees at the end of Shabbat or the festival and then faxed to the Chasidim. While the Rebbe did not write his discourses himself, his students would gather after each discourse and record the discourses -- some of which lasted for up to thirteen hours -- for publication. According to the Chasidic dictum u'faratza -- and you shall spread -- the Rebbe encouraged his Chasidim to set foot to the farthest corners of the globe and engage Jews of all backgrounds to engage in Torah and mitzvot, Through the mivtzaim, the Rebbe called on his Chasidim to light Chanukah candles in city centers and malls to instill Jewish pride, conduct Lag BaOmer parades with an emphasis on youth involvement, set up stands to perform the mitzvah of the Lulav on Sukkos, dsitribute matza on Passover, blow the Shofar on Rosh Hashana all around town and college campuses, and arrange public Purim Seudos in cities and college campuses around the world. The Rebbe made sure to direct Chasidim to keep events free of charge and provide for those who could not afford the means to purchase items needed to fulfill the mitzvot. The Rebbe's Ten Mivtzoim project called on all Jews to take the plunge and keep 10 major mitzvas: Ahavas Yisroel (love of your fellow Jew, i.e. concern for their physical and spiritual well-being), Jewish education, Torah study, Tefillin (for Jewish men), Mezuzah, Tzedakah (charity), filling the home with Jewish books, lighting Shabbos candles, keeping Kosher, and keeping the laws of family purity (Mikvah and Niddah). In the 1980's the Rebbe called to raise awareness of the importance of the 7th Noahide Laws among non-Jews and to urge humanity to adhere to them. The Rebbe's efforts led to a bill passed by the U.S. Congress on January 3, 1991 to designate March 26, 1991 as Education Day, in coincidence with the beginning of the Rebbe's 90th year. The bill acknowledges the Seven Noahide Laws as "the bedrock of society" and praises the Rebbe and Chabad for promoting these values and principles throughout the world. The most important thing to look for in a marriage partner is a good heart. All other qualities (intelligence, sense of humor, financial situation, physical appearance, commonalities) can be either built-up or h"v corrupted by a good heart or a bad heart. In order to truly take in advice we need to cultivate a lev shomea. When Shlomo HaMelech was granted one wish from an angel, he asked for a listening heart. Most people listen with their ears; listening with your heart means that the advice or Torah will truly integrate with your personality and start to materialize. The answer of the Jewish people to all that has befallen us is rising up again and building bayit ne'eman b'Yisrael - raising a Jewish home. When praying for a soulmate, one should not seek to address merely their own loneliness, but rather one should pray to Hashem to have the opportunity to raise children and grandchildren who will be steeped in Torah and mitzvot. (On this note, Rebbetzin Jungreis speaks of children and grandchildren broadly and spoke to the whole audience as her grandchildren). How often do we walk around Yerushalayim, crying out of the beauty and amazement that we are here, back in our land in great numbers? The rise of the state of Israel is the fulfillment of the prophecies of all the sages, and we are on the path towards our ultimate redemption, may it come speedily in our days.